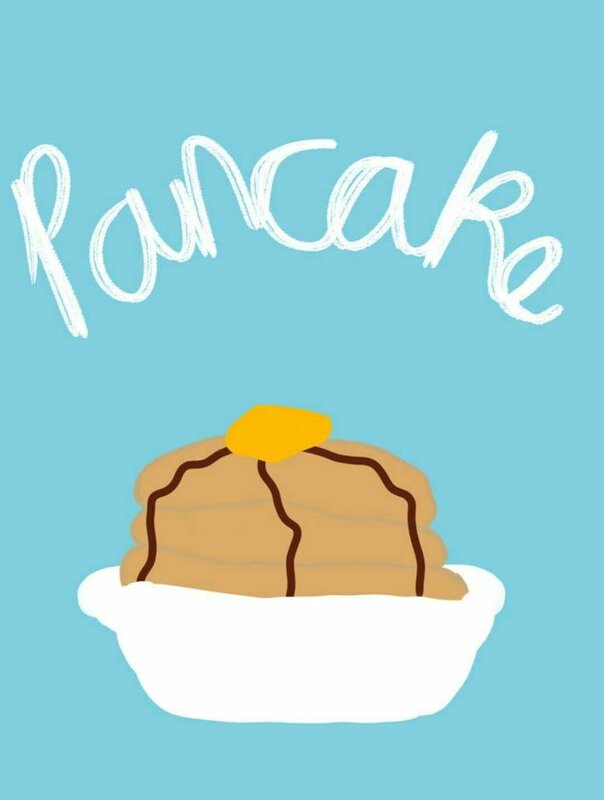 My entry for the contest of @deemarshall with the theme "Pancakes"
Pancake is known for having a butter on top and a hot syrup poured all over the surface or it depends on your choice and taste on what to put. I still remember the time when I tried to make my own pancake with the use of a simple flour and eggs. I didn't use the ready made or pancake flour. I made it from scratch and the result is quite funny because the appearance of the pancake looks like a round scrambled egg, and it's very thin because I didn't use any baking powder which is one of the ingredients to make the flour rise up or to thicken. At least I had a snack to eat. We will soon resume full-blown activities especially as ulogs.org begin to take full shape and with the birth of the teardrops SMT. There will be ulog-cats and all. ulog-subtags to bear forth ulog-communities. Please participate in this form; 'https://goo.gl/forms/7NxDYt4HX5GAgkae2' if you haven't. it is a short form and mostly requires your best email. It is time to gather now. Please share the form as well to any steemian you know of #ulog or those who may know of (@surpassinggoogle) or who is familiar with #untalented #steemgigs #teardrops etc. I need help with this and so much of it. The models are set and the teardrops token economy is being set. The token has been created on steem-engine pending when steemit creates SMT. It is time to gather as one close-knit group, a really solid family.